Larry "Major Nelson" Hryb has said in a Tweet that Microsoft will be turning off the television for E3. 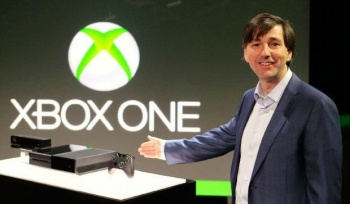 A lot was said about television at Microsoft's Xbox One reveal . Too much, in fact, for many people disappointment the event wasn't weighted more toward the gamers. It wasn't as if there wasn't any videogame news. Gamers were able to take an extended look at Call of Duty: Ghosts and Alan Wake developers Remedy Entertainment teased its own new project, Quantum Break. Additionally, Microsoft announced a new Forza and promised a whopping fifteen exclusives titles, including eight new IPs, within the Xbox One's first year on the market. That said the focus was clearly on the console's uses as a multimedia device, a move that angered more than a few prospective customers. With E3 a little more than a week away however, Microsoft is now assuring gamers that its Xbox One presentation at the world's premier gaming event will, in fact, be about videogames. Microsoft spokesperson Larry "Major Nelson" Hryb, has been doing his part by fielding questions on Twitter. Recently, one user asked Hryb if Microsoft would be showing off more TV features at its presentation. "I can confirm that we will have TV's (or similar) on stage to show the games," replied Hryb. "That should be the [extent] of TV talk in your E3." Hopefully Hryb's statement is accurate and the company has learned its lesson from the anger stoked by the Xbox One reveal. If it hasn't Sony seems more than willing to pick up the pro-gaming slack.